Weezer Singer Rivers Cuomo — Good Genes or Good Docs? When Weezer ringleader Rivers Cuomo gets into something, he really gets into it. In the late ’90s, he analyzed the mechanics of every Nirvana song and filled a three-ring binder with his findings. In his own ripping guitar solos, you can hear the countless hours he spent learning from his beloved KISS and hair-metal bands. On Weezer's classic Pinkerton,his enthusiasm for Japanese culture is there in the album cover. But recently Cuomo, a Harvard graduate, has found a new passion: the plays of William Shakespeare. And he’s been quietly sharing his love for the Bard’s plays by hosting a small handful of Weezer fans in Los Angeles movie theaters at a semi-regular event he calls Nerd Night. Mike Ragogna: Natalie, what have you been up to lately beyond the new album? Natalie Merchant: I’ve become extremely active in the fight against hydraulic fracking in New York. Where are you based? MR: Iowa, though I grew up in New York, so this concerns me as well. NM: Well, New York is sitting on the Marcellus Shale, which has huge reserves of natural gas, but the only way to extract them is by exploding the bedrock a mile or two under the surface and pulling the gas up using hundreds of millions of gallons of freshwater which will then be contaminated. It’s also extremely radioactive down there. We’re watching what’s happened in other states with the contamination of aquifers and the devastation of previously rural areas that are now highly industrialized. There’s also quite a bit of contamination of the air that occurs with hydraulic fracturing. 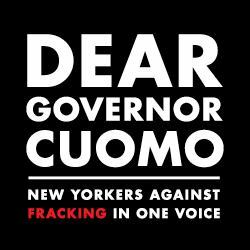 Anyway, I’ve been involved in that, and I made a film called Dear Governor Cuomo, because of the moratorium that was put in place by Governor Patterson before Governor Cuomo–which he has upheld. MR: Natalie, do you think he’s weighing the economics heavily and that’s what’s affecting things? NM: If he’s doing it for short-term gain, he would have opened the flood gates long ago. I think it’s politically very contentious because there’s a massive grassroots movement against this. Actually, we had a big victory last week, the court of appeals in New York ruled that all of the village, town, and city bans that citizen groups have put in place will be upheld. It’s a huge blow to the gas industry. Anyway, we’re just saying that it’s an extreme form of extraction that’s extremely dangerous, and we want an independent health study that tests what the impacts on the environment and health of not just humans but wildlife would be and what sort of impact it would have on our natural resources. Then we can weigh out whether it’s worth that risk. That’s happening in Colorado and North Dakota and Texas and Ohio and Pennsylvania and West Virginia, there are these thirty-six other states where they’re fracking and there’s massive devastation of prairie. We’re also questioning whether it’s wise to make that a major export. We’re talking about energy independence. We can supply for our own needs, but if we’re talking about selling that gas to other countries we’ll need to get three to five times the amount. Anyway, that’s one thing I’ve been doing. I’ve also been involved in local activism in the domestic violence advocacy groups, and made another film called SHELTER. I’ve gotten into this new form of protest that is multimedia. We gather together the community activists, and in the case of Dear Governor Cuomo, we have scientists and victims from other states who have had their water contaminated, and then we put together a program with music that is relevant to the subject we’re trying to educate people about and put together an evening where we alternate between appealing to the heart and appealing to the mind, left brain, right brain. People take in the information in a completely different way than if it was given by a speaker. We also have visuals, photographs, film, and we film the whole event so that it can be a tool for activists between the organizing. That’s what we did with the domestic violence issues, too. I got to go to some district attorneys’ offices in the two neighboring counties where I live in the Hudson Valley and we asked the prosecutors for statistics. We wanted to quantify the problem of domestic violence in our area because we felt it was a crisis but we couldn’t really sound the alarm without telling people how large the crisis was. The statistics had never been gathered in one place before, so we actually did a service to the domestic violence community by gathering the statistics and publicizing them. We found out there have been thirty-seven homicides over the past fifteen years related to domestic violence. They involved a child of three months all the way to a woman who was seventy-eight years old. People brutally murdered. And this was in this rural, bucolic environment. Then we started to look at how many domestic incident reports had been filed that year and the year before. There were tens of thousands. Then we checked how many arrests, how many convictions. When we actually did the event I decided that we as a community hadn’t acknowledged properly the deaths of these people, so I took all the names of the victims and I went back into the newspaper and I looked at the way their deaths had been reported. There was more written about a local football match than the brutal murder of two women. I decided that we have to memorialize these women. MR: What was the commonality? When you looked at all the information, were there any conclusions that you came to? NM: The conclusion I came to is that we need to have a community response. What was interesting was that I had this bias of, “I live in the country, this happens in the city.” It was not evenly distributed, but it was actually weighted a bit heavier in the countryside. There’s more domestic violence in the countryside, but the homicides are evenly distributed in both the urban and rural communities. That was jarring to me. But we took the thirty-seven names and we had a string quartet play a requiem, a piece that I had written, and we projected their names. It was an incredibly powerful moment for our community, to acknowledge that this was happening and to mourn these people. Anyway, I did that, and then I also did the Leave Your Sleep project which was a massive five-year project with a hundred and thirty musicians. I wrote a short book about the poets and spent a whole year talking to defendants of the poets and their estates and their executors, going to different institutions, finding photographs. A lot of those poets are so obscure there are no biographies–probably four of them had biographies. That was a really fun, engaging project that I could work on while having a small child. MR: That approach was very original. NM: It was interesting, I finished the project and I took it Nonesuch and Robert Hurwitz who’s been running Nonesuch for thirty years said it was the most original project he’d ever seen. I took that as a huge compliment coming from him. He’s worked with Steve Reich and Philip Glass for years. MR: Let’s get to your latest album. It’s simply titled Natalie Merchant. You could have taken that approach before, why now? NM: I wanted to make a distinction, I wanted to set this album apart from previously, and the album that preceded it, The House Carpenter’s Daughter, which was vocal music. I wanted to say, “This is my work.” That’s what I was trying to achieve through the self-title. It’s a piece of work that’s been in progress for probably fifteen years. I was focusing on having a family and my community activism and interpreting folk music and adapting other people’s words to music. I was also in a kind of journal-keeping fashion writing my own songs because it’s a compulsion. I have to do it. It is a kind of catharsis that comes from journal writing. So much happened in fifteen years, it’s a pretty sizeable piece of time. So much happened, not just in my private life but in the world. Wars began and ended. We as a global community recognized that we are seeing the impacts of our wanton ways on the climate, Hurricanes Katrina and Irene and Sandy. We’ve seen typhoons. This ongoing crisis of people being displaced by war and natural disaster, which I ended up writing about in the end. The UN figures–I’ve read 27.5 million people displaced by conflict. I’ve also read figures up to 40 million. It depends on what state those people are living in. Some people are living under tarps, some people have had to move to other countries to build their lives, but they still count as refugees and displaced people. MR: Do you think there’s any solution? NM: It would take a spiritual revolution. That’s what I’ve been praying for my whole life, that spiritual revolution. And it’s not recognition of one got or one creed. The spiritual revolution that I’m waiting for and I’m praying for is when we realize what a miracle it is that we even exist on this planet. MR: My son and I have been watching the updated Cosmos series. In relation to the time and space of the universe, what a speck of a speck of a speck times a trillion and more each human being actually is. NM: How very minute we are. We’re just misguided. Our brains are just large enough to completely undermine our whole existence. It’s tragedy on a scale that cannot be imagined. it just devastates me every day. We have scraped away topsoil that people in the arid regions of the world would lay down their lives for and covered it with tar. Just start with that. We don’t value what sustains us. We poison the water, we poison the air, we destroy the soil. It’s maddening. You know what’s even more maddening? To explain this to a child. I didn’t really consider that when I got pregnant that someday I would have to try to interpret the madness of my species. MR: The hardest thing is when you try to raise them to be decent people and the world throws at them messages that are contradictory to that. NM: That’s the goal of good parenting; to raise critical children who can look at the world with a strong base and a critical eye. And then you hope and pray. The other thing that I’ve really wanted to do is provide a protective environment for her long enough to have an authentic childhood. I think every child deserves that. It’s just heartbreaking that so few children get the opportunity. That protective coating that you put on your child, it seems like the whole world is conspiring to bust it open, with the types of film that are created and the books and the video games and the violence and wanton destruction that exists in the world. I’m just constantly shielding my child. I’m really thankful that I live in the country. When I take her to the city, we’re just assaulted by the imagery. I have no control. MR: Do you see a spiritual renaissance happening to the planet? NM: I think it’s happening on a tiny scale. When people say, “Are you optimistic or pessimistic?” I say, “I’m optimistic about individual transformation, but it’s the massive institutions that take so long to change.” They’re so inflexible. I’m pessimistic about that. What can we do about the stockpile of nuclear weapons in the world? What can we do about it? Nothing. What can we do about the carbon in the atmosphere at this point? There’s nothing we can do. What can we do about the great lakes? What can we do about the icebergs? This is going to a dark place, but that’s why I made a dark album. I just feel that people need consolation. If Billie Holiday had never recorded “Strange Fruit” 1939 would have been remembered as just the year that The Wizard Of Oz and Gone With The Wind were released and the Andrews Sisters had a number one hit about whatever, and we wouldn’t know that there were artists who saw the world for what it was, saw the dark of the world and were disturbed by it. Billie Holiday had the courage to make art about it. NM: I would just encourage them to dig deep into themselves, find their authentic heart and be vulnerable. Allow people to see that part of themselves, because that’s what people are going to respond to. I think that’s what’s going to be your lasting legacy. Think about that. What would you like to bring into the world. I think the most powerful thing you can put into the world is that part of yourself that’s felt so deeply. MR: And that would probably not only be good for the art, but for the human as well. NM: Mm-hmm. There are so many other aspects to a musician’s world these days, it started with the MTV business. Younger people are just more conscious of trends and branding. That kind of thing didn’t occur to us years ago. There weren’t that many platforms for it. You had a record cover and you had a poster, and that was it. Then came MTV and then came the internet. It’s fascinating and it’s fun to play with and there’s so much you can do with it if you have that capacity. But a lot of artists are just songwriters or singers or guitar players and that whole visual component and having to constantly promote yourself, that can be daunting. NM: I remember what it felt like, and it still feels like that. When you connect with another person over a piece of music that you both love… We were doing that on the tour bus the other night. My guitar player pulled out his guitar and we were singing songs for hours after we’d already played music for five hours between sound check and the show. We just love it, that feeling of connection and camaraderie, it’s so powerful. Everybody wants to feel like they’re included. That’s what music is about, to me. It’s inclusion. “I feel that. You feel that? We feel the same thing,” whether it’s feeling it with the artist or later on with someone else as you share that same piece of music. MR: An anthem is a powerful uniter. NM: Think of how powerful Nirvana was. Think of how powerful Bob Dylan was. Some people are like lightning rods. MR: That’s a good way to put it. Natalie, we really haven’t talked much about the album yet, can you walk me through it just a little? NM: This is a survey of fifteen years of work. It wasn’t that I just wrote ten songs in the last fifteen years, I probably wrote thirty or more. But this collection began to coalesce, these songs seemed to belong together more than any of the others. The thing that they all seemed to have in common was they seemed to be about transformation on some level. They also seemed to be about intensely personal subjects, or the world at large. Somehow I wanted to make that connected. I wanted intersections between public and private like we all have. I’ve always used this technique of creating characters and then either inhabiting those characters or having a dialog with them, which happened a lot on this record. “Ladybird” is a woman who has reached that point in her life where she feels extremely dissatisfied but knows that she has created a life that she can’t abandon. So it’s about self-sacrifice, it’s about yearning, it’s about limbo and assessing your life from wanting to change but not being able to because there’s so much at stake. MR: How does it feel to have created one of the most memorable singer-songwriter albums, Tigerlily? NM: It was as much a surprise to me as anybody. After 10,000 Maniacs, we had toured for years, we’d done that large MTV Unplugged album, it was kind of the pinnacle for us, with “These Are Days” on that last album. Then I kind of got to the edge of the precipice and I jumped off and I said, “I just want to start again and I want to make a little, quiet record with a little band.” I paid for the record myself, I produced the record myself, I did all the preproduction in my garage and I recorded it pretty quickly at Bearsville Studios. I was so close to the ground with that record, and then it exploded and sold five million copies. Still to this day, when I play those songs, there’s such a huge response. I’m actually re-recording the record next year with all these beautiful string arrangements that I’ve written for all these orchestral shows. I decided, it’s the twentieth anniversary of the release of this record and I’d like to revisit these songs. The truth is I don’t have to revisit them because they’ve stayed a part of my repertoire throughout my life. 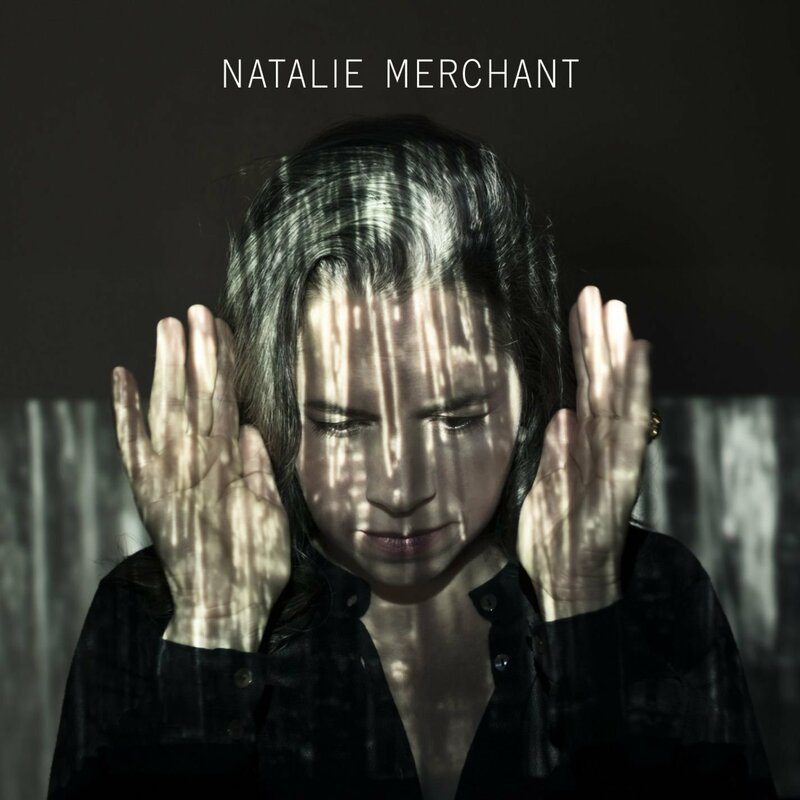 MR: Has the material evolved as Natalie Merchant has? Have the lyrics or the arrangements changed significantly over the years? NM: I think I was pretty precocious, because they’re still extremely relevant, songs like “Carnival” and “Wonder.” The thing that I find really wonderful is how it was embraced by people. One of the things that we’re actually doing is interviewing people at these concerts I’m doing right now about Tigerlily and hearing their stories. The song “Wonder,” in particular, because it’s become an anthem for sick children. It’s become an anthem for children with physical and mental challenges, and it’s so much about the love and support of the parents in helping those children overcome any obstacle. I’ve talked to doctors who said, “We don’t really know how to understand that impact that something like your song has on children, but it has an impact. It has healing properties.” I’ve actually had doctors tell me that. MR: I’ve heard quite a few artists say they modeled their albums after Tigerlily. NM: I don’t think of myself as extremely influential or important. I sort of think of myself as a fringe artist. An out there, cult artist on the fringe. MR: Would you say that you’re still developing as a human? NM: I hope so! I think having a child really changed me in a really profound way. I have been living on the edge of society, just passing through towns for years. If I put all the years I toured together, end to end, it would be twelve solid years of sleeping in a different bed every night. All the while I was yearning for a home and a place to belong. I think that when I settled in one place and I had a family and watched my child grow up and became somebody who people depend upon on my community in a real way, not just, “Oh while I’m in town maybe I’ll do a benefit for you,” but in an, “Oh, you need someone there at ten o’clock to set up chairs? I’ll be there. You need someone to make all these cupcakes? I’ll be there. You want me to teach the kids civil rights? I’ll be there,” way. Becoming a part of a stable community was very transformative for me. When you embrace a place as home you want to protect it. I remember when I met Pete Seeger. I’ve been in the Hudson Valley for twenty-seven years now, and Pete much, much longer. I remember we took the train together down to the city and by chance we bumped into each other at the railway station upstate. We had this lovely talk all the way down to the city and I remember him telling me, “Natalie, you just have to find a place, make it your home, and stay there.” He said, “Musicians get lost.” It was a wonderful source for that advice. So I took that to heart. MR: What a beautiful moment. I would add–my perspective coming from being a new parent–that your child also is your home. That could be as big a part of it as one’s geography. NM: But I think if everybody embraced and protected their home, we’d be golden. The familiarity is important. Once you know a place and love it you want to protect it. When we were organizing both the anti-fracking event and when they tried to start a logging campaign in the state parks of New York we toured all around New York state having petition drives and playing concerts and we publicized that there was this plan to allow logging in the state parks and a cement factory in the Hudson. We ended up presenting a petition to the governor with signatures from a hundred and twenty artists from New York who didn’t want that to happen. Even things like noticing that the Headstart playground was falling apart in my local town, just being more proactive. It just goes on and on. I decided I would not do shows in my community for anything but the benefit of my community. You know who I learned that from? Fugazi. When they played in Washington, if they charged money, it was to benefit their home. Mike Ragogna: We have quite a few things to talk about here, especially your new album, Come Back To Me Love. So who is this love you want to come back to you? 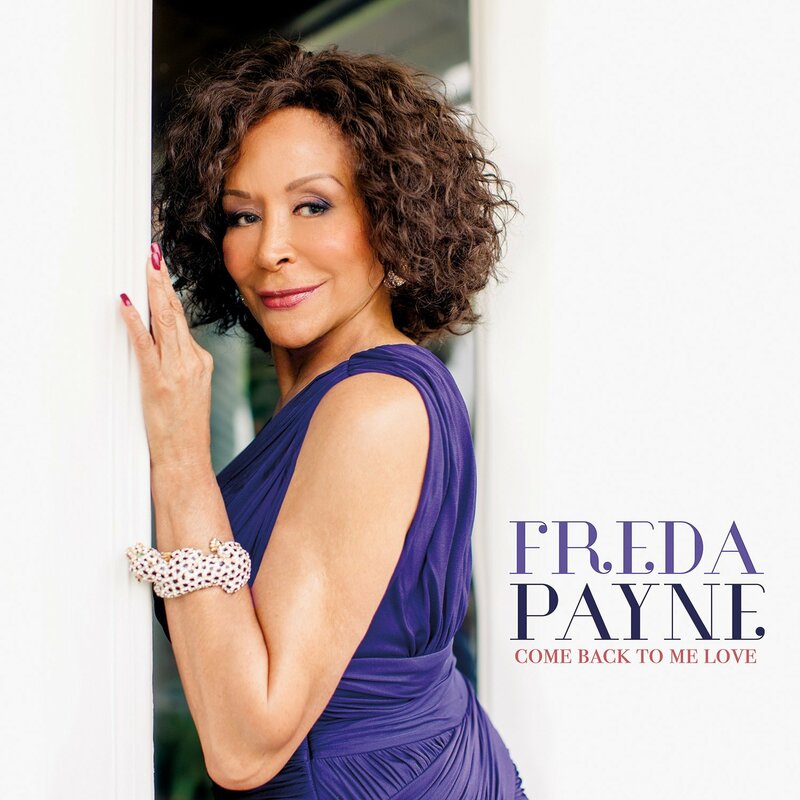 Freda Payne: [laughs] That’s an interesting one, no one’s ever asked me that one before… “Who is this love you want to come back?” I guess all the loves I’ve ever had. The ones who are still living, anyway. [laughs] The song “Come Back To Me Love” is about a person who separated or split up for a little while but they still love that person and want them to come back into their life. I’m just saying that you can read that any way you wish. MR: You recorded one of my favorite jazz songs, Kenny Rankin’s “Haven’t We Met?” It’s become a real standard over the years, huh? 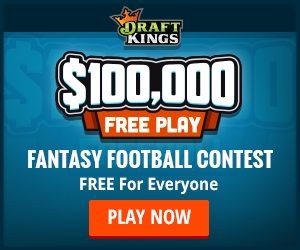 FP: Oh yeah! I had become friendly with Kenny Rankin, I got to meet him doing a special annual benefit at the home of director Oz Scott here in Sherman Oaks. It was for The Jackie Robinson Foundation, he had it at his home, he has this huge backyard. It’s an event where he invites close to about four hundred people and it’s called Jazz On The Grass. He had artists like the late George Duke, Marcus Miller, everybody. It’s just one of those kinds of events where you could go and see Sheila E., or Lalah Hathaway or anybody like that. I’ve done it several times where I was also one of the guest artists as was Kenny Rankin. We met and got to be friends. Of course he passed away two years ago, but the thing is that I always liked that song. When I was in the process along with my fellow producer and orchestrator Bill Cunliffe I said, Bill, I’ve always liked that song “Haven’t We Met?” and he said, “Yeah, I like it, too!” and that’s how that came about. MR: Kenny Rankin’s death was a surprise. I know that he reached a certain level of fame and appreciation, but it almost seems like especially after albums like Silver Morning, he should’ve been a household name. FP: He was special. He was really a special musician and singer. You’re right, he should’ve gone to even greater heights of fame. MR: Yeah, it’s unfortunate. Let’s look at some of the other material. Do you have any stories of how you related to this material when you were younger? FP: Every single one. “You’d Be So Nice To Come Home To,” I always thought of that as a cool standard, a swinging upbeat song to do, and of course everyone knows Cole Porter. MR: What about the songs by Tom Robinson? FP: Tom Robinson wrote six of the songs on the album and I like all six. “Lately” is something I think a lot of people can relate to in terms of another personal relationship that’s not quite in balance. FP: Then there’s “You Don’t Know,” that’s like you’re on the prowl. You know that feeling when you’re out there at a singles bar, or you’re at a club or a supermarket or ayour gym and there’s somebody that comes in who’s at your spin class or your yoga class and you start noticing them–“You don’t know what I’m feeling, you don’t understand. I love you with a passion, baby, my heart’s in your hand. You’ve got to know that I just want to be with you.” You’re out there trying to hook up. MR: It’s funny, you swing the words when you talk about it as much as you swing them when you sing them. FP: Yeah, when you get into it–I don’t know if I told you, but I have more of myself and what I like and my choice of songs on this CD than I’ve ever had ever in my entire recording career. Usually when you work with a big company and they give you a producer or, in this case I chose my producer. I’d already worked with him and he’d been currently working with me as an accompanist as well and he has his own name, Grammy Award Winner Bill Cunliffe–as well as a Thelonius Monk Award winner. We both chose these songs and these things I wanted to do. We basically chose from about twenty two of Gretchen and Tom’s songs the six we liked the best. MR: How about “Save Your Love For Me”? FP: Oh! “Save Your Love For Me,” that goes back to the sixties. Cannonball Adderley and Nancy Wilson. I always loved that song. I never sang it before I did it on the album. I never performed it ever. Now I’m doing it. I always liked that song. There are always songs you’ve always liked but you never did. “Spring Can Really Hang You Up The Most” is the only one of them on the whole album that I had been accustomed to performing prior to this. MR: Did you discover more layers of the material as you delved into them this time? FP: Yes I did, and guess what? As I go and start performing them in front of people in clubs and theaters and areans or wherever I’m going to perform them it’s going to get better, because I like it better as I go. MR: And it seems like you had a blast with these songs. FP: I’m having a blast, and I have a blast when I perform them. When you’re doing material that you love, it’s so much better. There are songs that I’ve recorded in the past, songs from the seventies where I wasn’t that into the song but I did it because the producer said, “We need to do this, this is the best song for you,” but I wasn’t that crazy about it. As a result I wound up not really performing those songs that much. MR: Yeah, and who can blame you? It gets a little painful to sing songs you’re not into. FP: Yeah, it is. Now, I’ve got to say, my hit “Band Of Gold” that I had back in the early seventies, I do that because people love it so much and I get requests for it no matter what I’m doing. Let’s say I do a whole jazz show and I come back with “Band Of Gold” for the last encore, people love it! They want to hear “Band Of Gold” because that’s how they know me. MR: And also “Bring The Boys Home” during a time in history when yet again we had a war and people were raising their voices to bring the troops home. MR: “Band Of Gold” and “Bring The Boys Home” were both about that same topic, was that a concept that was close to you? FP: I’ll put it this way: I’m far from being a Jane Fonda. I am not on that cutting edge at all. I did the song because bascially number one I believed in it and number two I felt the deep, heartfelt sentiment and the emotional tag of it–that you could feel the pain of people who had relatives or loved ones or husbands or daughters over there. And to be honest with you, the company was trying to get a hit record. MR: So was it really Holland-Dozier-Holland and Invictus Records directing that? FP: They called me into the office to play the demo of the song and upon my first listen it brought tears to my eyes. I said, “This is right on time. This is what the public would probably want to hear,” and they said, “Yeah, we feel the same way, too. You need another hit record to follow up ‘Band Of Gold. '” So that’s how it all happened. FP: Right. I mean, I wasn’t walking down Pennsylvania Avenue protesting and getting arrested, but just like Crosby, Stills and Nash and all these other singers, I was in the pop vein who did cutting edge material delivering messages through their lyrics and their artistry. A lot of poets do that, too. MR: Exactly. You’re one of the centerpieces of the Holland-Dozier-Holland Invictus story. FP: I am. There was a documentary done a few years ago and they entitled the documentary “Band Of Gold,” because that was the biggest seller during the time they had the label. MR: It was a huge record. But you also brought “Joy” and “Deeper & Deeper” and other non-topical songs. FP: And when I did “Band Of Gold” I got nominated for a Grammy for “Best R&B/Soul Singer (Female)” and then I got nominated, twice actually, for the album Contact. MR: That’s right! That’s right! To me this is a jazz album, what you’ve just put out. FP: It’s definitely a jazz album, on a jazz label. MR: But jazz these days also hints towards R&B, funk, all these other areas that it has embraced over the years. FP: Because jazz came from all of that. Jazz came from funk which came from the gospel church which came from the pentecostal church and the baptist church. Jazz has also infiltrated the hip hop world, you hear a lot of jazz infused into certain mixes. MR: And there’s the connection to the blues. FP: Oh yeah, the blues is jazz, too, as far as I’m concerned. You go to a jazz club and you can hear–as artistic as some jazz artists might be–when they start playing some blues that’s a whole other thing. There’s raw blues, the pure blues, and then there’s blues intermixed with jazz. It’s more of a jazz inflection on blues chords. For instance, in my show, I do a tribute to Ella Fitzgerald. When I do the “St. Louis Blues,” there’s a version that Ella did that I kind of emulate. She starts it off rubato but slow, the piano is playing very slow, bluesy chords, it’s funky. It might have been Tommy Flanagan or someone like that as her pianist at the time and they’re playing real funky blues for let’s say twenty four bars of the song and then they’ll jump start it and go back to the top with an uptempo version of it and do it like that. That’s a very clever way of doing the blues. MR: Lots of people know you as a pop R&B singer, but you actually started out as a jazz singer with Quincy Jones, and now you’ve sort of come full circle. What is it about jazz that got you into this and keeps you fulfilled now? FP: I think it speaks more to my intellect musically, based on how I’ve been trained and how I was brought up. It speaks to my inner soul, I’ll put it that way. I didn’t really get into R&B until I was in my early twenties, and that’s because of Motown becoming more sophisticated and using better arrangers. FP: Now we call them The Funk Brothers, but the musicians who were employed by Motown and did a lot of the Motown sessions, whom I wound up working with back then–Earl Van Dyke became my musical director for twelve years, he was one of the key Funk Brothers. MR: But Holland-Dozier-Holland had those original Motown roots anyway–is that how the crossover happened? FP: Yeah, absolutely. I went to high school with Brian Holland. I had met Eddie Holland when I was fourteen years old. Berry Gordy, Jr. brought him to my house. That was when Berry was trying to get me to become one of his artists. This was pre-Motown years. Berry Gordy wrote three songs for me and took me into a studio in Detroit called United Sound, recorded them, and he wanted them to sign me as an artist. My mother wouldn’t follow through with it because she wouldn’t agree to his terms. MR: [laughs] That seems to be the cutoff with some artists, why they were or weren’t on Motown. FP: Same thing with Aretha Franklin, don’t you think he tried to get Aretha Franklin? She had her dad, the Reverend Franklin and he sat down with Berry and said, “No go. No go.” She went to Columbia and then Atlantic and the rest is history. MR: But it’s interesting how you’re Detroit, it’s a natural fit, you went to school with Brian. 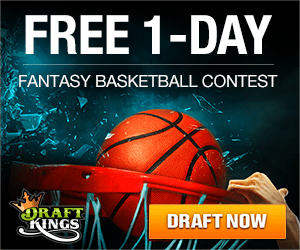 FP: Oh, and I forgot, I’m leaving out Lamon Dozier. He’s an integral part of HDH. I went to school with Lamont all through middle school. I went to school with Lamont from the sixth grade to the eighth grade. I had more of a history with Lamont. It’s almost like we’re all from the same pot. MR: Have you had reunions, especially with Lamont, over the years? FP: Oh yeah, I just did a think in honor of Lamont here in Beverly Hills on June seventh. The brand new Wallis Annenberg Center For The Performing Arts in Beverly Hills which opened just last year, a man by the name of Charlie Fox–have you ever heard of him? MR: Of course, Gimbel & Fox. FP: He asked me to participate in honoring Lamont Dozier as well as David Crosby of Crosby, Stills & Nash at the Annenberg. I participated in that with my sister, who was one of the Supremes. So I just saw Lamont recently. As a matter of fact I just bumped into him at the supermarket the other day! FP: And also in 2011 I did a tour with Lamont over in Europe with Sir Cliff Richard. We did a nine city tour of all arenas called the Soulicious Tour. Lamont was one of the acts along with Billy Davis and Marilyn McCoo, James Ingram, Percy Sledge and myself. MR: Where is the album with all of you performing together? With all of these friendships over the years, it seems like you’d have a lot of fun doing more tours and collaboration albums. FP: You’re absolutely correct. That’s what happened with the Soulicious Tour in the UK, but something like that would go over well here in the States, I think. MR: I think so, too. What is your advice for new artists? FP: It depends on what stage. If you’re trying to be discovered I’d say try to get on these talent contests that are flooding the market now, like American Idol, The Voice, X-Factor, Rising Star, because that seems to be one of the quickest, easiest avenues to get exposure. The other way I see it with this world of technology that we’re being sucked into more and more, get on YouTube or Facebook or whatever. Try to perform as much as you can for local things in your city, maybe clubs or little music festivals, just get exposure. That’s the only thing I can say. Don’t be quick to turn any opportunity down. I remember once a wise person said to me, “Sometimes something good comes in a small package.” It’s not always, “Oh, this is a big opportunity, you’re going to really excel with this.” I’ve done shows where the money was just enough to pay for my weekly grocery bill, or a play where you’re doing regional theater and the money really couldn’t support me, but you do it because it could lead to something bigger and better and it comes back to you four- or five-fold. And it also enriches you as an artist! MR: Can you remember anything in particular like that? You’ve have both overtly big breaks and nice subtle relationship with people that led to something nice. FP: Yeah, sure, I did a musical called Blues In The Night back in 1990. The salary was like, “Are you kidding me?” but I did it for the love of the music and the art and fact that it was muscial theater and I am an Equity member from having done a string of Broadway musicals on the road. It always led to something else. I did Blues In The Night and that led to me doing Jelly’s Last Jam here in L.A. before it went to Brodway, and then that led to me doing the first and only national company after it left Broadway and making much better money for a whole year. That’s what I’m talking about. MR: When does Come Back To Me Love, Part 2 come out? FP: [laughs] Well that’s up to the company! That’s up to Mack Avenue if they want me to do another one. I’m certainly hopeful that it might result in that. What do you think? MR: If there isn’t another one by this time next year I’m going to write a protest letter. FP: [laughs] Maybe you should let them know that, too. FP: You know what’s so funny, Mike? I’m getting this kind of response from people who know me from “Band Of Gold” and “Bring The Boys Home.” I was thinking, “All these people who like those songs so much are probably into the R&B and pop stuff and they probably won’t really like this that much,” but I’m getting very positive responses from people. And although it’s a jazz album, I call some of these songs urban pop. The one I think could be a good crossover tune is “I Just Have To Know.” Another one I like is “Lately.” It moves nicely. MR: There must’ve been other songs you considered that didn’t fit on the album. I bet when you’re performing this album there are a few others you sneak in there. FP: Yeah, I do some more stuff. Actually, when I perform live I still do “Band Of Gold” and I may throw in some other standard tunes. MR: Is there anything left to cover? I know we only touched on Broadway a little bit. FP: When you think of Broadway shows I’ve done, I’ve done Duke Ellington’s Sophisticated Ladies, I’ve done eight companies of Blues In The Night, I’ve done some plays by a playwright named Donald Welch, I did A Change Is Gonna Come. Most recently I did a film version of play called Divorce, strictly as an actress, there’s no singing involved. You can get that on DVD. MR: I was going to ask you about that. Do you have an acting bug? Do you want to fulfill a little more of that, too? FP: Yeah, sure, that goes along with the territory. Look at all the singers who are doing a lot of acting, now. Especially rap artists. MR: It’s a natural fit. FP: There’s a lot of them out there.